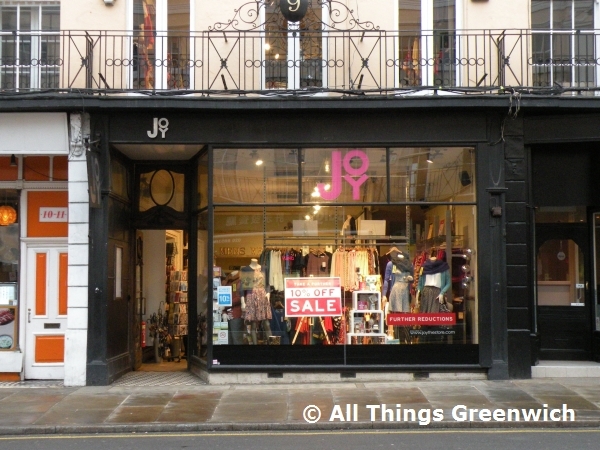 Joy is a retailer of men's and women's clothing from brands such as Louche, Pixie, Ringspun, Miss Real, Brat and Suzy, Blend, Chunk and many others. Joy also sells Fashion Accessories, Handbags and Gifts. Joy is located on Nelson Road. View its location on the Nelson Road retail map diagram. Find your way to Joy by public transport with Transport For London's Journey Planner.